In July of 1974, the average cost of a new house was less than $35k, a gallon of gas cost $.55 and a Fender Stratocaster could be had for $325. Lynard Skynard’s “Sweet Home Alabama” was #93 on the Billboard Hot 100 chart and John Denver’s Annie’s Song #1. July of 1974 also marked the meager beginning of a small music store in Boulder, Colorado that would later become ProSound Music. Originally named Solid Sound, this store was located on Pearl Street in Boulder, Colorado. Opening with only a few used guitars and several sets of strings, Solid Sound would later evolve into Colorado’s largest independently owned and operated musical instrument store. Chosen for its thriving music community, Boulder and the surrounding area was home to acts such as Tommy Bolin, Richie Furay, The Astronauts, Dan Fogelberg and Firefall, all of which were loyal customers. The historic Caribou Ranch Recording Studio was only a few miles up the road from the store and many legendary artists would stop by to grab gear for sessions. 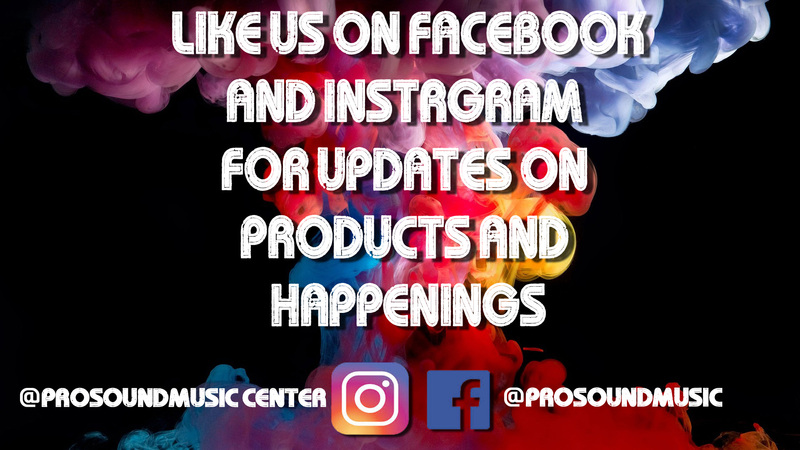 Solid Sound, quickly gaining notoriety in the community and being known by the pros as the place to shop, was renamed ProSound Music in 1982. Throughout the years, ProSound began selling the industries major brands including Fender, Gibson, Peavey, Mesa Boogie, Martin, Taylor, Roland, Yamaha and Pearl, just to name a few. ProSound’s mission was to offer the best equipment with the most knowledgeable staff and the valued, loyal customer base continued to grow and grow. The industry has evolved immeasurably since 1974 and competition has come and gone but one thing remains constant – ProSound continues to adapt and remain the musician’s choice in the Rocky Mountains. Today, ProSound now offers not only an amazing selection of guitars but a wide array of live sound equipment, recording gear, keyboards, drums, band instruments and accessories. A great lesson program and instrument repair help ensure our customers are happily playing their instruments for years to come. Offering the industry’s best products, knowledgeable staff and service after the sale were the driving forces behind our receiving Music Inc. Magazine’s prestigious “Retailer of the Year Award” as well as many other industry awards and recognition. Of course, none of this could be accomplished without the help of our loyal customers. Thanks for your support over the last 36 years! Visit our Colorado Springs showroom, or browse our website and see what everybody is talking about!